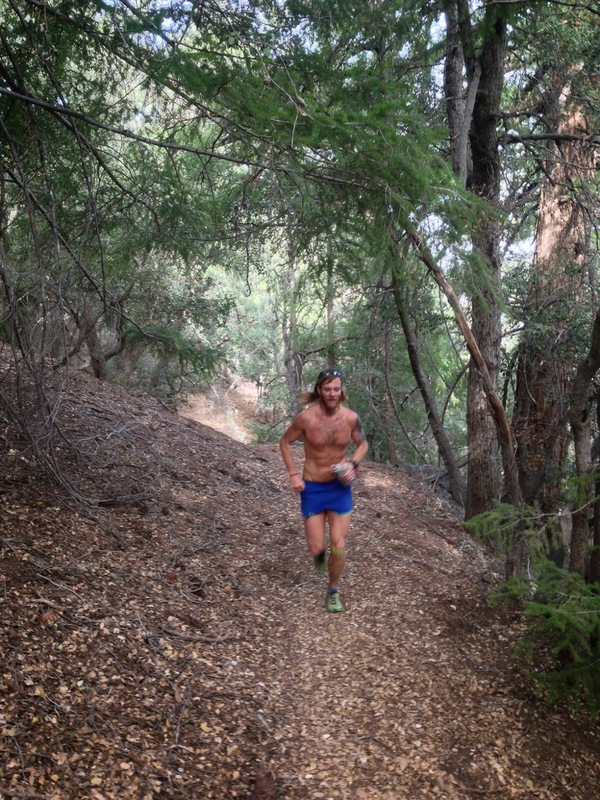 Over the Peak and Through the Pines: Why Train? I spent Sunday running around Mt. Wilson with Timothy Olsen. Like many world class ultra runners, he speaks very vaguely about his training in public, in hopes of not coming off as boastful. He's a humble and hard working guy, and he sees his high volume training as justified and relatively normal for his goals of winning big races. As we clicked off miles running up Kenyon Devore, we talked about what I was planning on doing for training for Western States. A gradual, ambitious, planned ramp up to a 175-200mi peak in May got him excited and got us talking about how we were both inspired by Anton Krupicka's blogging of peak weeks of hitting 200+ miles in preparation for Western States or Leadville. We more or less learned from Tony's blog, that there was a pathway to epic performances, indulgence of the soul, and an understanding of the body's true endurance capabilities. I got to pace Timmy last year at Western States and it was the most amazing running performance I have ever witnessed: hammering every single mile down Cal street in 100+ degree, humid, stifling heat. Rob Krar had much faster PRs them Timmy, but Timmy's huge training block before Western made him invincible on race day. We talked about the training he did to get to that point, and it was really, really, really hard stuff: Steep and fast treadmill runs, mid-day runs, lots of sauna time, lots of long runs, lots of hard miles, lots of "long tempo", lots of bonking, lots of struggling. It resulted in a level of performance that more talented runners couldn't match. 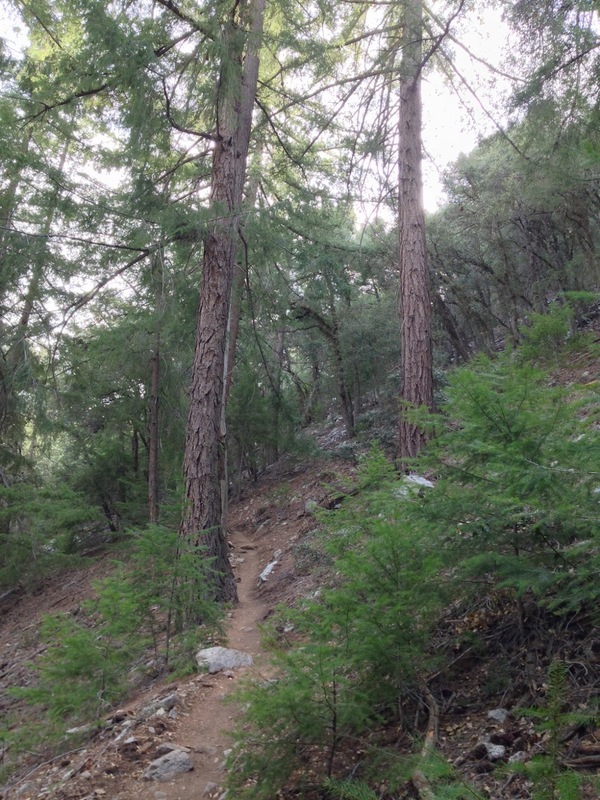 We hammered down the Rim Trail, and cruised onto the Gabrielino Trail into Sturdevant. The indulgent pace caused me to bonk on the climb up Sturdevant as Timmy flew up, enjoying the steep grade and the scent of Jeffery Pines. In an instance, I'd gone from enjoying the technical and scenic route to feeling weak and lightheaded. I had another thousand feet to grunt through on fumes before I reached the top. As I begun to curse myself for foolishly showing up hungry and low on calories, I caught myself in the realization that this training in struggling was what we really loved and what made us grow as runners. Forcing the body to find metabolic efficiency is a nice term for bonking, which is never a nice experience, but serves as a valuable tool. It trains the body to respond to low points in races not with rest, but with persistent determination to switch fuel sources quickly and push on. This is a huge part of the reality of ultrarunning; lows are unavoidable, and they're defining moments in races. It's a problem solving that isn't of the mind, but of the body and soul. Every bonk in training is a chance to become a little bit better at taking lows on stronger and faster. I believe my specific reason for training hard, is fairly rational. It feeds my need to get the very best out of myself. I got into the sport because I thought it would fulfill my need for challenge in life, and I've found it challenges every aspect of my life. For me, ultrarunning is 95% training. Race day is just a display of what you've really accomplished thus far, and how well you've trained your mind. I go out and train hard because my real limits will never come out in races if I don't train with a purpose. Everyday is a chance to achieve and to supersede perceived limits; anything else is short sighted. I say this because I know the feeling of joy from training well and racing to my limits, and I also know the feeling of not training hard enough and feeling regret on race day. Below are two huge tracks from the "Into the Mind" soundtrack. Thanks for the insight; definitely a post that gets the motivation flowing. 1. how much running time would you need to hit that 200mi mileage based on your estimated training plan? 2. do you think that is a sustainable model of preparing for 100mi races for multiple years? If you were to run two goal 100mi races in a year would you be doing about 6-8 weeks at ~200mi? Some post there Dom! Thanks for sharing! Thanks for this post...It's a blustery 5 degrees here in Ohio and this makes he want to hit the icey trails! 2. I think the more seasoned vets in the sport will vouch that they get in shape quicker, and benefit from more rest. For me at 27, I still have more building ahead of me for a few more years. I am in fact doing WS and AC and I think I'm going to peak for 3-5 weeks above 150 miles (if I don't break down). Last year was pretty good. Thanks for the answers Dom. That seems a lot more reasonable than the 6-8 weeks at 200mi I had imagined you doing (based on what I thought AK did in his huge mileage days). I'm excited to follow this year's journey and see how it works for you. Good luck! I loved. loved. loved. this. Thanks for pinning down such a great thing into words. Seriously since I've read it it's been in my head on all my training runs and ride. Stay awesome.